Mother’s Day is coming up and I can’t think of a better gift than a hand made one! My husband and I like to concoct our own hair and skin care products, so we always have a bunch of oils on hand. 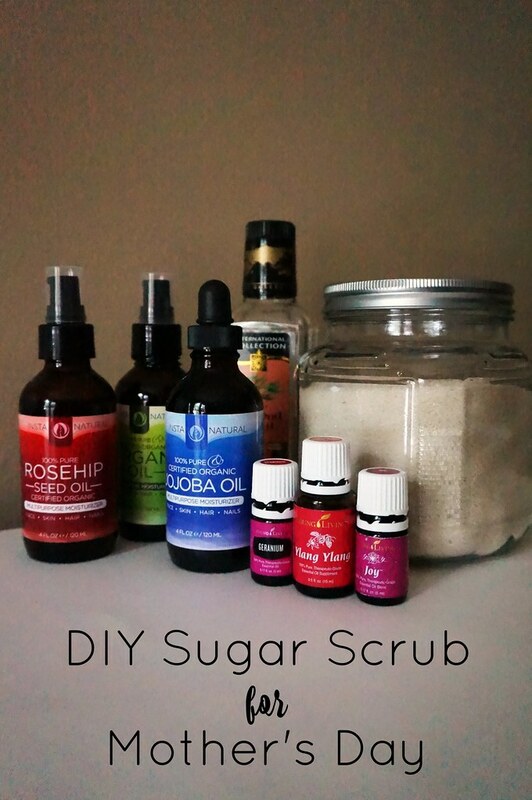 My favorite skin care item to make is sugar scrub. 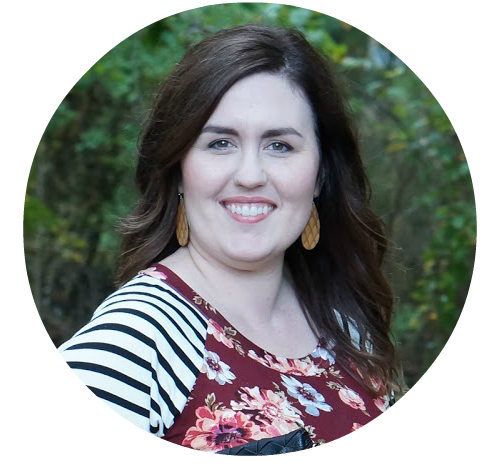 It’s completely customizable, so you can use whatever oils and scents you want! I love it. 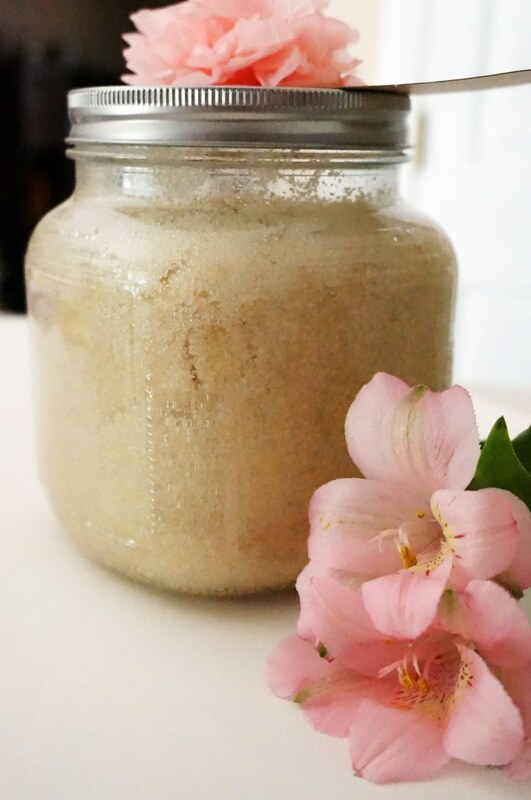 The scent I use for this scrub was inspired by a laundry refresher I bought at Target. If you’ve ever seen the Mrs. Meyer’s laundry scents, they come out with a peony scent every spring/summer. It’s not available all the time, but I really love that scent. I looked at the ingredients and realized that I already owned the oils. So, when it’s not available in the stores, I recreate the scent in different products around the house. This scent is absolutely perfect for Mother’s Day and, like I mentioned, this recipe is completely customizable. In fact, I never measure the ingredients out any more. I do have suggestions for the amount of essential oils to use that are listed below. I used organic cane sugar because that’s what I had on hand. You can use white granulated sugar or even raw cane sugar, if you want bigger grits in your scrub. 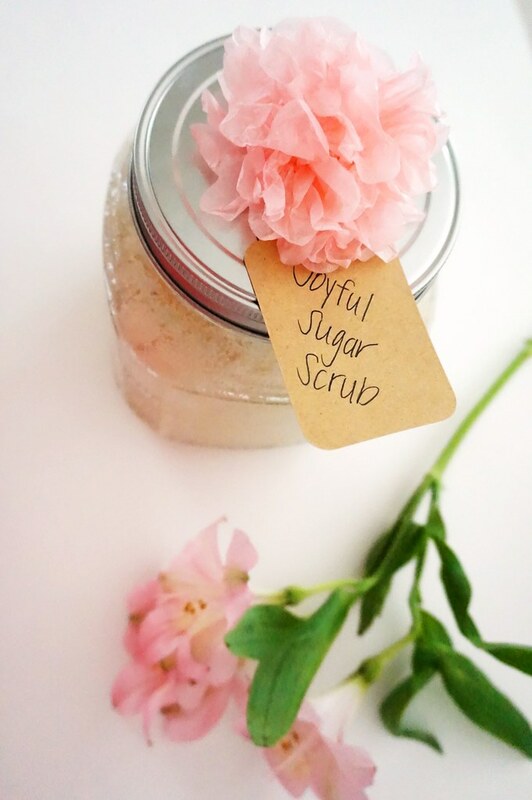 There are so many oils you can use in your scrub. For this batch, I used a combination of sweet almond, rose hip, jojoba, and argan. If you can only get your hands on one, like sweet almond, that’s totally fine! I added the rose hip, jojoba, and argan for the added skin care benefits. I used three essential oils to scent this scrub. I used geranium, joy (which is a blend containing rose oil), and ylang ylang. The combination so feminine and refreshing. Like I mentioned before, I don’t measure anything. Basically, I add sugar in the container until it’s almost full (you can see the amount of sugar in the picture above). Then, I add oil until it is full. Then, I add two drops of geranium essential oil, one drop of joy essential oil, and two drops of ylang ylang essential oil. I mix it all together, and then it’s done! If you don’t have enough room to stir within your container, you could measure it all in the container, dump it in a bowl, and then add it back to the container. That worked for me! If you’re giving this as a gift, you can decorate the lid with some paper pom poms and add a cute tag. Let me know if you make this! I’d love to know what you think.